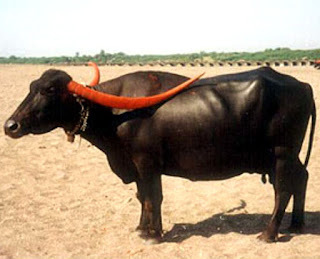 The Pandharpuri buffaloes are medium sized animals. 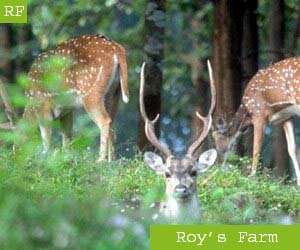 They are easily identified by their long, sword shaped and sometimes twisted horns. The horns measure from 45 to 50 cm and also up to 1-1.5 meter of length.